Our main studio is located in the Montreal region, but we frequently travel to Los Angeles, where we have a second studio in downtown L.A. Although we can shoot on location and hotel rooms, we also offer you magnificent, private and luxurious studios, that offer a variety of sets that will fit any style you may fancy. Take a look around! Our main studio is located in Laval, just 5 minutes from Montreal and the Cartier Metro Station. Free parking is available right in front of the studio building. 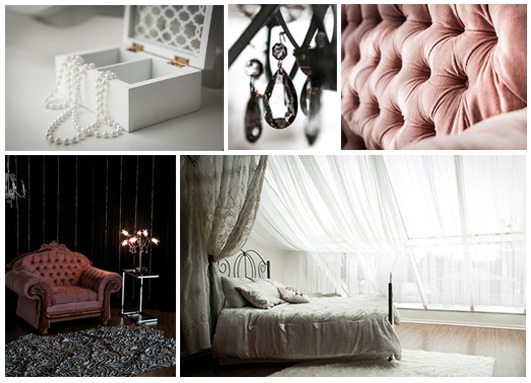 This spacious, yet intimate and private space contains multiple options for custom boudoir and glamour sets. A variety of furniture, such as a bed, couch and vintage chair, curtains, wallpaper will help create the mood you are looking for, whether it is a soft, romantic look or a darker, sultry one. A huge, beautiful, 25-foot long window allows us to take soft, romantic photos with natural light, while a darker decor, with studio strobes will let you get darker, more dramatic images. This studio also offers a huge selection of outfits, dresses, hats, lingerie and accessories for you to complete your looks. 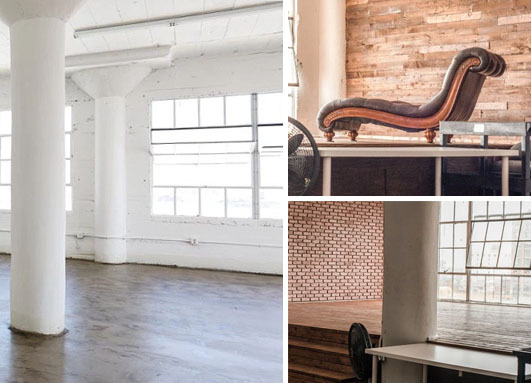 The Los Angeles studio offers 5 different sets, all filled with incredible natural light, real wood floor, and floor to ceiling windows. Some sets include a stage, stairs, as well as some nice, unique furniture (vintage leather chair, podium bath, etc.) and props. Located in the heart of downtown L.A., int he Fashion district, there is also lots of parking available around. Ready to look stunning in your own photos? Register for our newsletter and get a ton of tips on posing, clothing & looks that will help improve the way you see yourself in photos, as well as our free guide How to look Extraordinary in your own photos.